Somewhere in The Call is a fantastic thriller, but the end result is not that film. Instead of being a completely effective film, The Call is 2/3 an excellently executed police procedural thriller, and 1/3 Hollywood dribble. While the accurate technical details make the procedural section engaging, it also serves as a stark contrast to the absurdly illogical manner in which the story concludes. Had the entire film being unrealistic and inaccurate, perhaps The Call could have been dismissed as mindless entertainment, but instead it is an uneven disappointment of greater magnitude. Director Brad Anderson (Transsiberian, The Machinist) is an effective director of suspense, though even he could not save a film from an ending like this. All that can be hoped for is an hour of enjoyment before a groan-inducing ending. The informational tagline of The Call informs us that there are 188 million 911 calls made each year, which sets up the premise for a film in which the operator is our protagonist. The biggest problem the screenplay seems to have is keeping the 911 operator at the center of the action, and this is done with an unbelievable coincidence and an asinine detour from any believable character decisions. 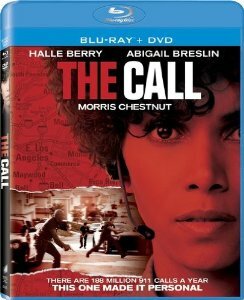 Halle Berry stars as a veteran 911 operator named Jordon, whose mistake during a call results in the death of a caller. She takes leave from her position, until being pulled into another call with a victim in a similar situation. Seeing the opportunity to set things right, Jordon spends a majority of the film on the 911 call. On the other end of the call is a teenage girl (Abigail Breslin) who is abducted by a psychopath serial killer (Michael Eklund) and shoved in the trunk of his car. With the help of Jordon, this teenager is able to fight back in finding a number of ways to aid the authorities in finding her, from kicking out the brake lights to utilizing tools found in the trunk. Helping to tie in the police investigation to the call Jordon is on is the fact that she is in a relationship with one of the lead cops on the street (played by Morris Chestnut). This portion of the film is suspenseful while also remaining fairly intelligent. My biggest complaint in the first hour of the film merely has to do with the amount of time we must hear Breslin inaudibly crying her lines out, and the unbelievable way that the operator understands every word she is saying. Realism aside, it is simply unpleasant to listen to someone panic and cry for such a length of time. It deters from the suspense in the situation, focusing a bit too much on engaging the audience in forced emotional attachment which will help make the terrible ending easier to swallow. The Blu-ray includes an exclusive alternate ending, but it is too little, too late to save this film. There are also some deleted and extended scenes, two set tours, a stunt featurette and Eklund’s audition tape. The Blu-ray also has the DVD special features, which include a making-of featurette and a commentary track with Berry, Breslin and the filmmakers. The combo pack includes a DVD and digital copy as well.